The rate of technological advancement seems to be ever increasing. All you need to do is take a quick look at the phone in your hand or the computer on your desk to see that. This advancement seems to know no borders, forcing its way into each and every aspect of our lives. Even in the towing business, technological advancement is having a massive impact. From towing equipment to customer services, Towing San Diego has seen plenty of changes over the last decade, and expects to see plenty more in the coming months and years. Here’s a look at how technology is affecting both DIY towing and professional towing. Once upon a time, it took a brave soul to hitch a trailer to their vehicle. It took an even braver soul to hitch another vehicle to the back of their ride. Today, there’s still an element of bravery involved, but thanks to technology, do-it-yourself towing is easier and safer. New vehicles are generally designed with much better towing equipment, or at least the facilities for much better towing equipment. From better weight distribution to improved maneuverability, easy-to-miss changes in the design of vehicles mean an easier tow for all of us. As with almost everything in our lives, it’s much easier now to find a range of towing equipment, as well as high-quality towing equipment. From tow dollies and hitches to ball mounts and towing wing mirrors, one click on the internet and you’re halfway there. Not only is it easier to find standard towing equipment, it’s easier to find specialist towing equipment. From advanced lighting systems to high-tech breakaway setups, you can tow like a pro easier today than ever before. Towing can still be a daunting task, particularly for the uninitiated. There’s no harm in seeking out a professional to do the job for you. If you do hire a professional, you’re likely to be surprised just how much new technology is used in the business today. No doubt, when you think about tow trucks, you think about the old hook and chain models. Today, these are fast being replaced by high-tech vehicles, many with vehicle-lifting devices. Flatbed tow trucks are popular for the security they offer, while specialist heavy-duty towing vehicles are making it easier to transport even the bulkiest of vehicles and machinery. Forget two-way radios and road maps, any tow truck company worth its salt uses smart phones and GPS systems today. Dispatch offices are able to track every one of their vehicles, identifying which is closest and best-suited to any job at hand, and can provide text message and voice alerts to the customer throughout the entire process. Believe it or not, technology has had a huge impact on customer service within the industry. The advent of the internet means customers have more choice when it comes to tow companies, in turn meaning that tow companies have to do more to secure business. Social media has made it easier to liaise with customers and to receive feedback, not to mention for the customer to voice their opinion. Meanwhile, the fact that everybody carries a smartphone around with them now means that it’s easier to keep customers up-to-date with what’s going on. So there you have it. Technology is changing the towing business and it’s changing the business for the better. Towing San Diego utilizes new technology across the board. From the latest tow trucks and high-tech towing equipment to GPS navigation and social media, we’re doing everything can to ensure we provide a towing service that’s efficient and effective. 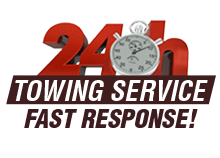 If you’re based in San Diego and you need a reliable tow truck company, get in touch.